Many people in the Church were surprised when Pope Francis announced on Oct. 9 that he had chosen Cardinal Joseph W. Tobin as one of the newest members of the College of Cardinals. No other archbishop of Indianapolis had been selected as cardinal. Neither had any leader of the Archdiocese of Newark, to which Cardinal Tobin was subsequently assigned on Nov. 7. But Bishop Dale J. Melczek, the retired bishop of Gary, Ind., wasn’t astonished when Pope Francis made his announcement about the new cardinals. His knowledge of Cardinal Tobin stretches back to the late 1970s shortly after the outgoing-archbishop of Indianapolis was ordained a Redemptorist priest and began ministering at Holy Redeemer Parish in Detroit, where he had grown up. At the time, Bishop Melczek was a priest of the Archdiocese of Detroit serving in its chancery. When then-Father Tobin was chosen as a young priest by his fellow clergy to serve as the vicar for a vicariate—the equivalent of a deanery in the Archdiocese of Indianapolis—in that archdiocese, Bishop Melczek met with him often. Their association continued until 1990, when then-Father Tobin was assigned by his religious superior to serve in a parish in Chicago. 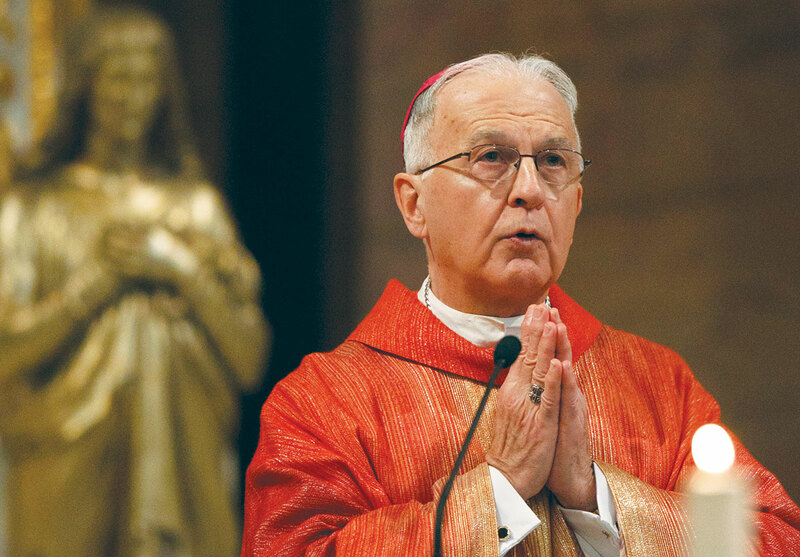 “He just seemed so filled with the love and mercy of God that he felt kind of compelled to reach out with love and understanding,” said Bishop Melczek in a Nov. 2 interview with The Criterion. “He had a passion for bringing the love of God to other people. It was this knowledge that led Bishop Melczek, who served as bishop of Gary from 1992 until his retirement in 2014, to take Cardinal Tobin’s appointment to the College of Cardinals in stride. While Bishop Melczek wasn’t surprised at the selection, he was happy about it. Bishop Melczek noted that the deep respect that Cardinal Tobin showed the people in Detroit whom he served will now extend to Catholics around the world. “He has a deep love and respect for every person,” Bishop Melczek said. “And that shows in the way that he interacts with other people. He really believes that every baptized person shares in the gifts of the Holy Spirit. Bishop Melczek’s appreciation for this quality in Cardinal Tobin increased in knowing how much he gave himself to ministry in situations he wouldn’t have chosen for himself. “It wasn’t his goal to serve in his home parish,” Bishop Melczek said. “He really wanted to be a missionary. But he ended up there, so OK. That’s where the Lord wanted him to serve. That acceptance of God’s will for him, Bishop Melczek said, continued when Cardinal Tobin was chosen by Pope Benedict in 2010 to be ordained a bishop and serve as the secretary of the Vatican’s Congregation of Institutes of Consecrated Life and Societies of Apostolic Life. This change in his life happened shortly after he had finished 12 years of service as the general superior of his religious order, the Congregation of the Most Holy Redeemer (Redemptorists), and he was expecting to return to ordinary priestly ministry. Now it’s happened again, when it was announced on Nov. 7 that Pope Francis had selected Cardinal Tobin to lead the Archdiocese of Newark, something that Bishop Melczek said is “a heavy cross” for his friend whom he knows “had a deep love for the people of the Archdiocese of Indianapolis and was looking forward to ministering to them for many years. Bishop Melczek said that Cardinal Tobin has encouraged Catholics across Indiana during the past four years to embrace God’s love and mercy in their lives, and to then share it with others. Cardinal Tobin’s final act in leading the Church in central and southern Indiana—accepting God’s will that he is to leave the Hoosier state behind to lead the Church in northern New Jersey—can also help Catholics here grow in their faith. “As difficult as it was personally to uproot himself, he knows that that is what he needs to do and joyfully does it,” Bishop Melczek said. “He doesn’t do it begrudgingly. He just accepts it, because it’s clear that it’s God’s will.